Time after time, we’ve seen Google move into new ventures where their presence isn’t as widely recognized as other, but it’s not all the time they’re able to make an indelible mark in those new areas. Much like how Google is attempting to intrude into Twitter’s space with their Google Buzz service, we’re now seeing that with the music streaming service with their new Google Music Beta cloud service. Unlike other competitive services like Pandora, Slacker Radio, Napster, and Rhapsody, Google Music Beta allows users to stream their own library of songs to just about any internet connected device out there. Right now though, attendees of Google I/O and some Verizon Motorola XOOM owners have the prestigious opportunity of checking it now, but let’s hope others will have their time down the road. 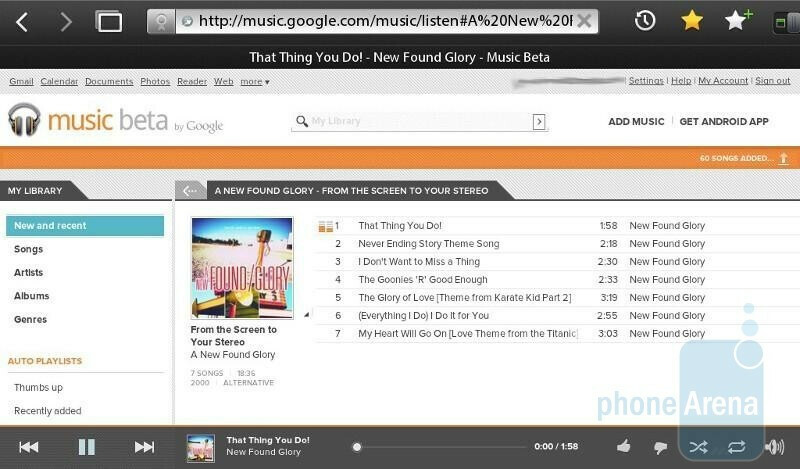 First and foremost, users will be required to transfer their songs stored locally on their computers to Google – and this is accomplished by download and using the Google Music Manager software. Basically, it’ll scour your hard drive to fish out all your music, and once it’s able to tally them all with your approval, it’ll commence uploading them to the clouds. Naturally, it’s probably recommended for you to have a fast internet connection because the whole process can definitely be time consuming to say the least – especially if own a ton of songs. Thankfully though, you don’t have to upload all your songs at one-shot since you can continue from the same spot you left off previously. If you happen to own an Android powered smartphone, you can download the new Google Music app from the Android Market, which complements the default music player on your device – and in our case, we used the Samsung Infuse 4G. Launching the app for the very first time, we’re asked if we’d like to try out the new streaming feature associated with our account, and rightfully so, we accepted it unconditionally. In terms of presentation, there isn’t anything out of the ordinary with the app, mainly because it looks and feels like the stock Android music player we’re normally used to seeing. 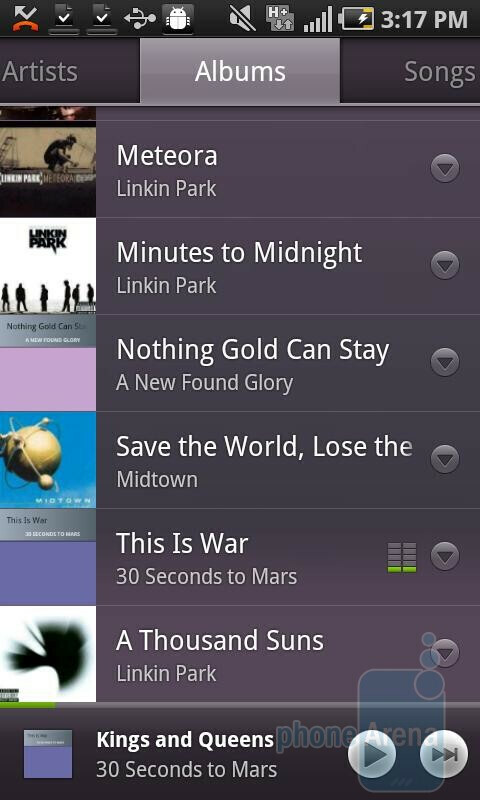 Aggregating songs stored locally on the handset, it’ll even display those that have been uploaded to our account. Granted that songs are streamed at up to 320kbps quality, we’re actually quite content with its quality, which sounds more than acceptable to the ear without the slightest indication of any degradation. Seeing that we’re getting solid speeds with the Samsung Infuse 4G, the buffer time isn’t long at all, and in fact, it’s actually almost instantaneous. Conversely though, we also used a Samsung Transformer using Sprint’s network, but there’s some time needed to get songs to begin playing due to the slower connection speeds – though, audio quality is still acceptable. 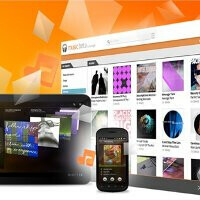 Fortunately though, you don’t necessarily need an Android powered device to be able to stream your songs in the cloud. That’s because you can still access and play them using just about any internet connected device – and in our case, we used AT&T’s Apple iPhone 4 and the BlackBerry PlayBook. Launching their respective web browsers, we’re able to log in and load the web based music player interface, which provides us the same experience as with Android’s dedicated app. Again, there’s a little bit of buffer time, though not long at all, but we’re quickly able to start playing some of our songs on both devices with no problems. Needless to say that we’re undeniably excited about Google Music beta, but it’s even better knowing that the service is entirely FREE! Meaning, we’re able to upload all our music to the clouds and access them using just about any device out there with a web browser – and the best part of it all is that no cost is associated with it. Sure you have free services like Pandora that streams certain songs, but not all of them might be something that’s preferable to you. Granted that it’s only the beginning right now, we’re already curious to know what Google will do down the road to improve and innovate the service. I currently used amazon cloud player, ever since i reformatted my sd card. I haven't put any of the music back on my card. On my Evo the amazon cloud player works great in 4g and 3g with full bars or 1 bar. There is a hiccup here and there but they are few and far between. Was surprised reading this that it had not mention that amazon service launch in March i think. Having a google service would be awesome just because all i wouldn't have to log into another app to use another service. Hoping to get a beta invite. 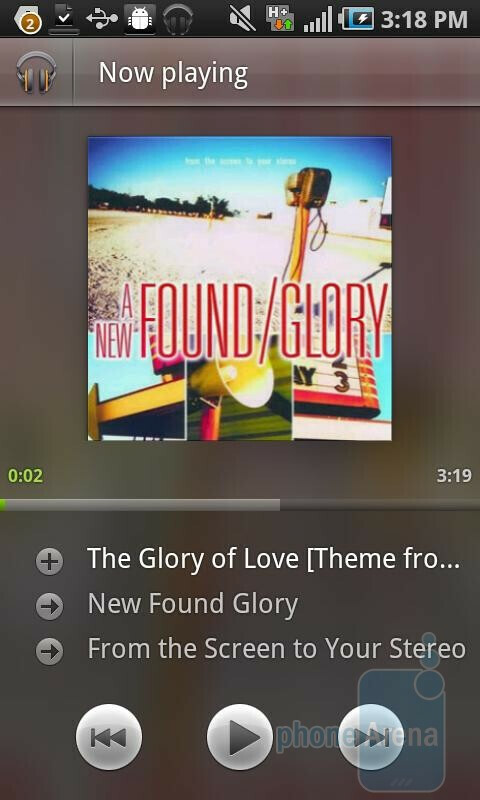 The music player is much more polished than Amazon's cloud drive. It's a tough decision between this and Amazon since I buy all my music from Amazon, it automatically goes into my Cloud drive for instant access. I wouldn't want to have to constantly transfer my music to Google. 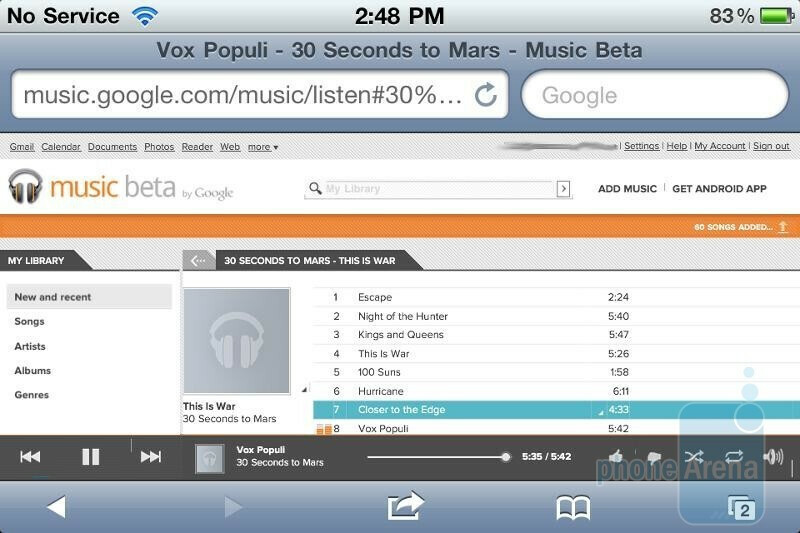 Google really flopped not being to work out a deal for a music store at launch.